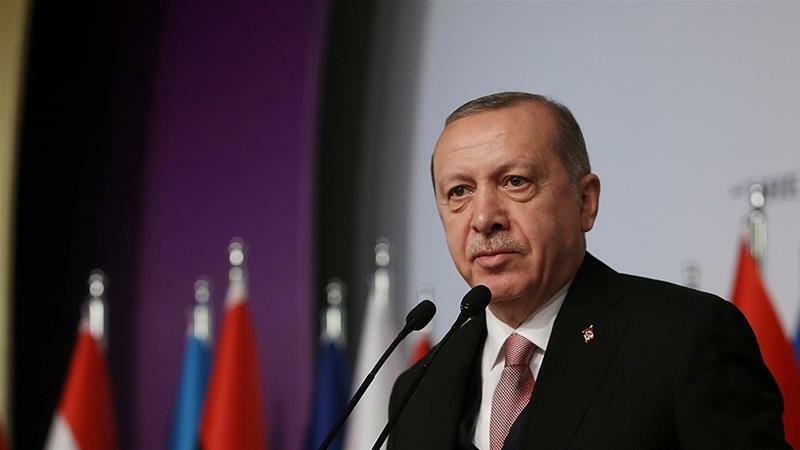 Turkish President Recep Tayyip Erdogan on Tuesday denounced comments by a senior American official urging protection for Kurdish allies as “seriously mistaken”. US National Security Adviser John Bolton held talks in Ankara with Turkish presidential spokesman Ibrahim Kalin and other officials on the handling of armed groups in northern Syria and the US’ planned pullout of its forces there. During his visit to Israel on Sunday, Bolton set conditions for the US pullout from Syria that included Turkey guaranteeing the safety of the Kurdish militia that spearheaded the fight against Islamic State of Iraq and Levant (ISIL, ISIS). “We cannot accept the message Bolton gave from Israel, we cannot be deceived by it,” Erdogan said in a speech to his Justice and Development Party (AK Party) deputies. Trump announced the withdrawal of some 2,000 US troops from Syria last month in a statement that shocked many politicians in Washington, along with Western and Kurdish allies who fought alongside the US in the war-torn country. In fairly extensive coverage from reporters in Ankara, Northern Syria, and Jordan – where Mike Pompeo is currently visiting, & then going onto Saudi Arabia, it seems – Trump’s top two clowns were reported to be dashing around the Middle East desperately trying to convey to various countries the impression Trump’s knows what he’s doing, and that they both know what he’s doing too, even if nobody else does. It doesn’t appear to be convincing anyone, except possibly Bibi, although even that’s not clear. Not sure if one of them is visiting Sisi in Egypt, but he’s fuming that a CBS interview showing him sweating & getting caught out telling huge porkies like there are no political prisoners in Egypt was just shown in the US. Trump Circus International’s roadies are on the move again. Who’ll be the first to bail out or get the boot next when Trump says the opposite thing to what they’ve just told some Middle Eastern potentate – Bolton or Pompeo? US Secretary of State Mike Pompeo began a visit to the Middle East on Tuesday to talk to regional leaders about ramping up pressure on Iran. The trip comes amid confusion over conflicting statements by Trump administration about a planned US troop withdrawal from Syria. His first stop is pro-Western Jordan, followed by visits to Egypt, Bahrain, Qatar, Saudi Arabia, Oman and Kuwait. Pompeo told reporters he plans to talk to allies about “modalities by which we may continue to apply pressure” on Iran, branded by Washington a sponsor of “terrorism”. Pompeo will likely face questions about last month’s surprise announcement that US troops would soon leave northeastern Syria, where they help battle remnants of the Islamic State of Iraq and the Levant (ISIL, also known as ISIS). The two-day meeting starting Wednesday would have been fourth in a series between Taliban and US special envoy. The Afghan Taliban have cancelled peace talks with officials from the United States in Qatar this week, following disagreements over the agenda of the meeting, the group confirmed on Tuesday. The two-day talks were scheduled to begin on Wednesday in capital, Doha. The Taliban had rejected the participation of Afghan government officials in the deliberations. The Taliban have rejected numerous requests from regional powers to allow Afghan officials to take part in the talks, insisting that the US is their main adversary in the 17-year war and that Kabul is a “puppet” regime. At the request of the US, a Taliban office was established in Doha in 2013 to facilitate peace talks. But the office had to be closed after the Taliban came under pressure for hoisting the same flag at their office that the group used during its rule in Afghanistan. Subsequently, the then Afghan President Hamid Karzai halted all peace efforts, saying the Doha office was presenting itself as an unofficial embassy for a government-in-exile. The war in Afghanistan is America’s longest overseas military intervention. 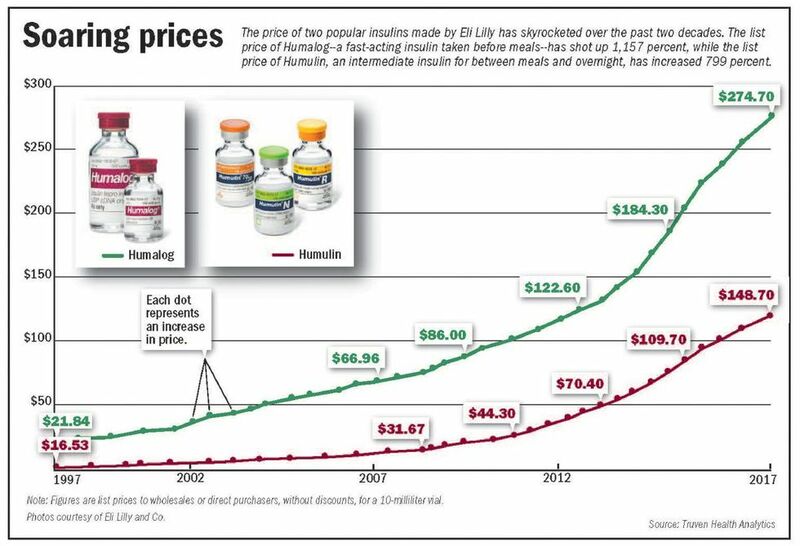 It has cost Washington nearly $1 trillion and killed tens of thousands of people. In 2017, US President Donald Trump increased the number of his country’s troops in Afghanistan as part of a new strategy against the Taliban. There are now about 14,000 US soldiers in the country. The Taliban has previously said the presence of foreign troops was the biggest obstacle to peace in Afghanistan. Reports last month about Trump’s plans to withdraw thousands of troops from Afghanistan triggered uncertainty in Kabul, which depends on the US and other foreign powers for military support and training. The US embassy in Afghanistan did not immediately respond to a request for comment, said the Reuters news agency. Defies belief that this is allowed to continue. Wonder if the police have accounted for their drone…..
A caller to the radio has just said that flights are taking off again. Another caller has just called in to say he saw a drone near the turnoff for Heathrow airport about 40ft off the ground. He saw the drone about an hour ago, and has been trying to call the police on the non emergency number, but he was in a queue. Just a note, both the Gatwick sightings, and tonight’s have been initially around 5pm, it is winter and it is getting dark just after 4pm, so by the time these drones are going up it is very dark, and for the Gatwick one it was also raining quite heavily on that night. I’d be dialling 999. It could well be an emergency. It’s beyond belief that anyone can buy one of these things, it’s an open invitation to plonkers with nothing better to do. A drone sighted near a motorway could be an emergency? What emergency? No person was threatened, and when the witness saw it there was no crime in progress. Calling 999 would have been an overreaction based on what he saw and if he had called it he would have been considered a nuisance call. There are guidelines on when to call 999, and that didn’t fit them, he correctly called the non emergency number. It was already on the news that the police knew about the drone so he would have just been calling to provide information on a sighting to help police with determining its origin. Oh well, suit yourself. I’d call a potential plane crash an emergency. The guidelines were probably put in place before the drones were around. We now know why Paul Manafort didn’t take a salary while working on the Trump campaign. Manafort was working off his debts to Oleg Deripaska by providing the Russians with access and info on the Trump campaign. His lawyers failed to properly redact their filing and revealed that Manafort offered to brief the Russians on campaign polling and lied about sharing polling data with Knstantin Kilimnik. The Russians spying on Trump? Well now, who would have thought it. Idiot. They were being given data by the trump campaign, i.e. in cahoots with trump. Russian lawyer Natalia Veselnitskaya has been charged with obstruction of justice and clearly exposed as an agent of the Kremlin. “So that when an offer was made at that infamous Trump Tower meeting of emails from Hillary Clinton, the offer that Donald Jr. said he would ‘love’ if it came at the right time in the campaign, we now know that that’s basically an offer of help from the Kremlin and a violation of American Law, which forbids accepting offers or soliciting offers of foreign help. -Lawrence Tribe, speaking on MSNBC with Ari Melber. Professor Tribe concludes that Donald Trump Jr. and Jared Kushner were, in every sense, soliciting help from the Kremlin. Trump and the Devil aka Alexandria (Sandy) Ocarsio-Cortez on the same page, tax the rich. Nice match, the new leader of the dems is a younger, prettier version on Trump. Facts don’t matter, it’s all feelings…. The wealthiest 20% in the USA own 79% of the wealth and pay 87% of the tax. But as you can’t get blood out of a stone they are always going to pay a slightly percentage. Like I said, the rich pay almost all the tax. Taxes on low income earners are effectively zero. Good system don’t you think? Like I said you can’t get blood out of a stone, increasing taxes on poorer people won’t raise much money and only make the poor poorer. No shes not a ‘leader’ – just one of 235 Dems in Congress . Has no leadership position. In NZ terms she so far back on the back benches she has zero influence. Ah, so is not important. I’ll keep that in mind while the media focus on her for the next 12 months. the gains of the Trump expansion have flowed disproportionately to those who suffered the most in the previous slow-growth era of asset inflation, the very workers Trump identified in his campaign and inauguration speech. Blue-collar wage growth now exceeds white-collar wage growth for the first time in nearly a decade. Those opportunities abounded because manufacturing posted its best year for job growth since the 1990s. Although President Obama and countless economists regularly warned that manufacturing jobs would never return, the evidence now proves that pessimism wrong. Belying the critics who claim that Trump merely inherited growth momentum from the Obama administration, during the first two years of Trump, manufacturing jobs expanded at eight times the rate of the prior two years ending Obama’s tenure. Yes, the workers who are not being paid looked extremely happy when we saw them on the news. They are in a cleft stick; either work for nothing or tell Trump to put his job where the sergeant put the pudding and find themselves unemployed. I bet that there are many combing the Sits Vac every night. If the air traffic controllers downed tools, Trump would have to come to his senses, such as they are. It doesn’t become Trump’s problem until both the House and Senate have agreed on a Bill for him to sign. And the House is refusing to agree to the one the Senate sent back and insisting sending ones that the Senate rejects. So the Democrat House is hurting their own voters. We don’t know who they voted for, but I think that I know who they won’t vote for next time. These people are being treated appallingly shoddily. Nearly three weeks without pay ! Blame the Democrats for obstructing the elected Government then. ??? Don’t blame Trump for stopping the pay of all those people for his own vanity? He’s doing it for the same reason as the Dems are trying to stop him: to win the next election. Don’t deny such simple truths. The Democrats ARE the elected government Alan. So are the Republicans. In various numbers, in both the House of Representatives and the Senate. And the President is a part of the government too. The US has the government its Constitution provides for. And, in my opinion, the government it deserves. The Dems are part of the elected Government but not the administration. I suspect what has happened is that the Federal Govt has become far more involved in people’s lives than the founders ever envisaged (and really had tried to prevent). The division of power has come to delay critical administration rather than just policy and law. Tough. The Republicans screwed Obama. Now the Democrats are screwing Trump. It is what it is. Best system of government in the world I’ve been told. Not seeing it. It’s fucked. ‘Fact-checkers’ of the world will be well occupied later today. In the weekend in White House press secretary Sarah Sanders apparently claimed that about 4,000 known or suspected terrorists had been apprehended at the U.S.-Mexico border. It was fact-checked by “Fox News Sunday” host Chris Wallace. A senior administration official told CNN that government data shows only 12 known or suspected terrorists were caught at the border between October 2017 and October 2018. Your problem is the majority of Americans have more trust in Trump than they do in the ‘fact checkers’. Your problem is that none of that is True. Recent elections for House ( only one that covered the whole country and every district showed Democatic candidates had an overall jump in their votes and Republicans had a corresponding drop. 40 seats changed hands even in some long time Republican areas like Orange County Calif.
Pinky has no problem with that. He doesn’t deal in truths. I don’t see the point in truths when talking about us politics. Nor do they matter to you either, you have demonstrated that time and again. Words like majority of Americans has a meaning. I have just seen this, so will have to have a look tomorrow to see if I can find anymore info on it. But it seems the US Govt have downgraded the EU’s diplomatic status in Washington to the of an organisation not a nation state. So the USA just reminded the EU it is NOT a nation and they've got pissy about it. And it seems the EU are not happy. He’s rolled back the status upgrade Obama gave the EU near the end of his Presidency. Given the insults the EU has thrown at him who is surprised? Stirring the pot – love it! Officials believe the downgrade likely occurred in October or November, DW reported, effectively repealing a decision made in the last days of Barack Obama’s presidency to grant the EU member state status. Really? Why did ihe tell the people of the UK to stay in the EU then? Ha! They have been relentlessly sniffy about Trump, what did they expect, a bunch of roses? Big deal . Its just affects ‘protocol’ and such arcane things that dont really matter. I don’t know how the US works regarding diplomatic missions, but in some countries the level of diplomatic recognition impacts level of diplomatic protection the members of the mission get. It could also impact things around whether they are able to have a vehicle with diplomatic plates which could impact things such as taxes and parking, there is also the issue around access to legislators, and those in the state department, reduced access impacts a lot for the EU. It is about relationships and this shows a great cooling in the relationship between EU and the US. If it was only about protocol then why would the EU have spent years working with the state department to get nation state diplomatic status? This is a huge insult to the EU and it will probably impact more than just ‘protocol’ that you think doesn’t matter. Your comment shows your ignorance of how diplomacy works, and how important for a mission to have the right diplomatic status. Trump’s wall – what’s the bet he’ll call a National Emergency and have the military build the wall? I doubt he will, and that power should not be used to set such a precident. It has ugly ramifications if you allow a president that power. A national emergency used to be used a lot by Presidents before congress clamped down on it in the late 70s. Same goes for using military to ‘build it’, legislation prevents them from doing that sort of thing for the government. Do all your predictions fall apart so quickly? 3PM our time according to one news source. Be strong and resolute, Mr President. There’s no crisis at the US border – unless you are an asylum-seeking child fleeing violence, or an American citizen seeking lawful, competent leadership. Yet Mike Pence and Kirstjen Nielsen said the word crisis 36 times in just one news conference about border security this week. If funding has been the problem and the theater of angrily shutting down the government was intended to force funding approval, why didn’t the GOP fund it while they had a majority in the House? Why didn’t they fund it when they were in lame duck? Why didn’t they make a point of knocking down the massive $2.1 trillion tax cut by $5 billion to fund the wall? If aliens breaching the border is a crisis, why have government services including border security been shuttered instead of finding an alternative method for funding the wall? No, the real crisis is somewhere else. In 2016 alone, over 42,000 Americans died of opioid overdoses, and 49,000 in 2017. But not a word today about that crisis. But not a word today about that crisis either. The Dems are just playing politics trying to stop Trump from implementing his election promise. The rest is just hot air. Why has he chosen now to say I must have this. As well the shutdown started before the Dems changover occured…..
Been thru that already with you, Duker. Don’t be stupid all over again. 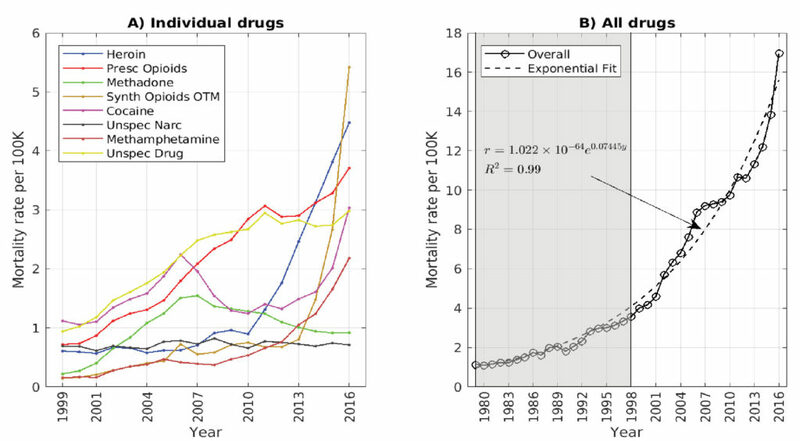 To be fair, Trump has spoken of the drug crisis – but if you didn’t catch it, today’s address was about border security. Why on Earth would we expect Joe to be fair, Maureen? She’s an A Grade Lefty Trump-hater.